Olympic medallist PV Sindhu and Kidambi Srikanth smashed out in the quarterfinals of the French Open in the wake of enduring straight-amusement overcomes in their individual matches as India's crusade finished in the singles occasions at the BWF World Tour Super 750 competition here. Third seed Sindhu looked a pale shadow of herself as she lost 13-21 16-21 of every 40 minutes against seventh seed He Bingjiao of China on Friday night. It was Sindhu's second sequential misfortune on account of the Chinese shuttler this year after her straight-amusement crush in Indonesia Open in July. By righteousness of this win, Bingjiao stretched out her straight on record to 7-5 against the Indian. Prior in the day, Saina Nehwal once more neglected to decipher the code of best seed Tai Tzu Ying of Chinese Taipei, losing 20-22 11-21 in another quarterfinal experience. To exacerbate the situation for India, fifth seed Srikanth gave a decent record of himself yet in the end lost steam against best seed Kento Momota of Japan. Srikanth contended energetically in both the recreations yet neglected to achieve the end goal, losing 16-21 19-21 to droop to his seventh back to back and fifth straight misfortune this year against the Japanese adversary. 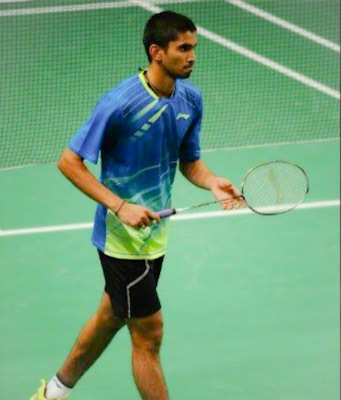 Srikanth's last thrashing against Momota came in the semi-finals of the Denmark Open last week.Men's duplicates Be that as it may, there was some uplifting news for India in the men's copies occasion as the unseeded match of Satwiksairaj Rankireddy and Chirag Shetty advanced to the semi-finals in the wake of showing signs of improvement of comrades Manu Attri and B Sumeeth Reddy 21-17 21-11. However, a massive assignment anticipates the pair in the last four round as they are up against best seeds Marcus Fernaldi Gideon and Kevin Sanjaya Sukamuljo of Indonesia.